Xtra is the expert in radio and media research. Our research is supported by years of industry experience allowing us to deliver unparalleled insights and provide actionable recommendations. Hands on consultation to develop “Call to Action” insights on your audience and customers. Questionnaire design with best practice methodology using sample quotas and targeting. Innovative digital and mobile technologies that have been purpose designed for music and content research, alongside CATI room facilities and audience panels. Every time Xtra delivers your actionable insights they’re backed by years of experience built on talking and listening to audiences all over the world. That collective knowledge provides an unmatched understanding of the industry, which is the foundation of what we will bring to your audience research project and presentation. Uncover critical audience tastes and preferences. Music cluster studies uncover critical audience tastes and preferences. Songs are analysed in comparison to each cluster group to determine a central sound and build playlists for your station. Targeting music improves time spent listening and competitive advantage. A quick, cost effective method to identify targeted audience opinions. New music testing can combine Airtime Surveys and Expression Live as a quick, cost effective method to identify targeted audience opinions. Purpose designed studies that focus on specific songs which have the ability to predict your call out research and, within reason, forecast a song’s chart potential. Detailed summaries of the results are included to give a clear picture of what it all means. Analyse songs to help build clocks, consider era exposure and set coding. 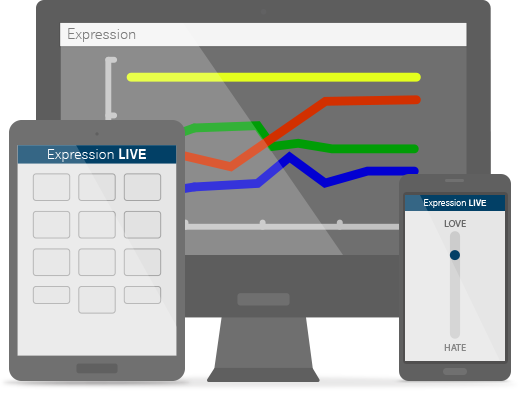 Library Music Testing can analyse up to 650 songs in one session, using either Airtime Surveys or Expression Live. Simply wind up for a like or down for a dislike. You can capitalise on an engaged audience - thirty minutes, of perceptual questions can be built into the session. The results help build clocks, consider era exposure and set coding. Custom designed, comprehensive analysis of the market. Strategic studies master-plans guide all product and marketing decisions. Perceptual research can be the catalyst in changing the overall positioning of a brand. Each study is custom designed for you to ensure a comprehensive analysis of the market. The resulting guideline implementation can perpetuate long-term success. Custom designed studies for film and television. Program cluster studies, audience focus groups and our various research tools can be extended to television and other entertainment studies. Potential applications include analysis for dramas, lifestyle, current affairs programming, brand images, jingles, promotional campaigns and product variations. Each of these studies are individually designed to reflect your needs. Regional Radio Audience Measurement Surveys conducted in accordance with Commercial Radio Australia. Regional studies are a proven cost effective method that measures the size and listening patterns of audiences, which can provide relevant information to advertisers and invested agencies. In 2013, Commercial Radio Australia(CRA) enlisted Xtra Insights to conduct the initial regional research trials, which were used to establish the new Regional Radio Audience Measurement model. Since then we have conducted numerous regional surveys around Australia. The importance and value to participating radio stations cannot be understated. Didn’t quite find what you were looking for? Xtra Insights offers a range of customised research services, contact us to discuss your requirements. At Xtra Insights we provide a number of sophisticated research platforms which paint a more accurate picture of your market. A fast, reliable and cost effective branded online survey platform, purposely designed for the entertainment industry. Live results monitoring in a simple responsive environment. Allows respondents to participate in surveys at their own discretion. 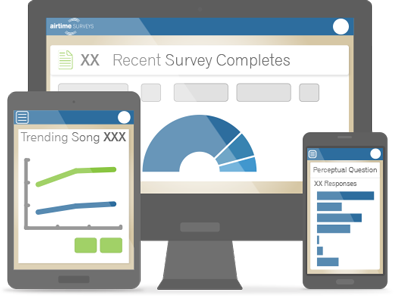 Music and Content Surveys made simple, even your Content Director could do it. Ultimate data analysis software that allows sorting, categorisation and breakouts of critical research results. Focuses on music and content data which seamlessly integrates with our other products. 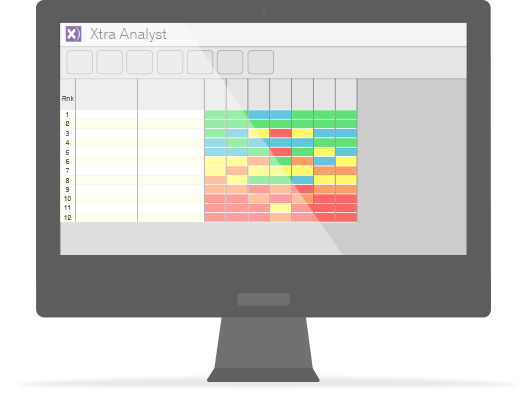 Xtra Insights has developed its own state of the art software that combines traditional research techniques with new technology. Using portable devices, uncover insights about what’s rating well, and not so well across music, radio shows and television content. Results can be viewed in real-time with next day implementation. Despite all the technical improvements, it still boils down to a man or a woman and a microphone, playing music, sharing stories, talking about issues… communicating with an audience. The feeling that you had the first time you heard "Bohemian Rhapsody" or "Roxanne" or "Smells Like Teen Spirit" - that's what radio is for. Radio should not be warm milk. It should be moonshine. The audience is not brought to you or given to you; it’s something that you fight for. You can forget that, especially if you’ve had some success. Getting an audience is HARD. Sustaining an audience is HARD. It demands a consistency of thought, of purpose, and of action over a long period of time. Xtra Insights is a highly innovative company that provides a relentless high standard of research, strategic methodology and advanced technology. We are there well after the results are delivered, offering support on interpretation and implementation. Paul's 30 years of experience includes positions in a variety of departments from programming and production to promotions and marketing. Over a 17 year period he held management positions in radio groups and industry companies. 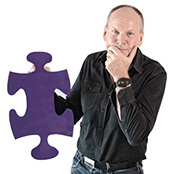 In 1998, Paul was appointed Director and Radio Consultant for (esp) Entertainment Strategy, Programming working with radio stations in Australia, New Zealand, UK, Germany, Sweden, Norway, Finland, Malaysia and the Netherlands. Specifically Paul was responsible for program format design, on air talent direction, the development and implementation of audience research marketing and promotion campaigns and strategic programming format designs in competitive radio markets. Since 2003 Paul has developed Xtra Insights into a successful entertainment research company working with some of the leading radio groups, television networks and music labels in Australia, New Zealand, Asia and Europe. Paul did his first on air gig at the age of 15, before his voice broke. 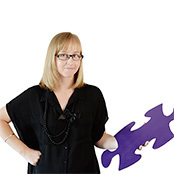 Bethaney is a Media and Communications Honours graduate from the Queensland University of Technology and has been working with Xtra since 2007. While attending university Bethaney worked with Australia's largest commercial radio network on an audience research project, which received national media coverage. Since joining Xtra Bethaney has gained invaluable insight into the media and entertainment industry and continues to develop her role within the company. In 2012 she presented a paper at the AMSRS National Conference on behalf of Xtra Research and was awarded Best Paper by a Young Researcher. Beth wishes she was a V8 Supercar Driver and has a black belt in Tae Kwon Do. Valerie has been with Xtra Insights since its inception and provides invaluable administrative support to the Xtra team and our clients. Valerie is responsible for finance, account keeping and office duties. 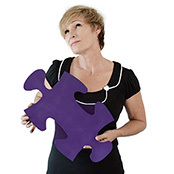 She has over 10 years experience within the banking industry. She also provides support in the data processing of weekly and Airtime Surveys results. Valerie is addicted to training at the gym. Michael joined Xtra as Web Developer in early 2010 and is a valued member of the team, responsible for the continued evolution of Xtra's online platform. 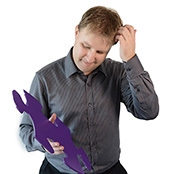 Prior to joining Xtra Insights, Michael spent 5 years as a Software Engineer for icemedia and has a Bachelor of Software Engineering and a Bachelor of Computer Science. Michael loves milk. Nikola joined the Xtra team in 2014 as Digital Content Designer. 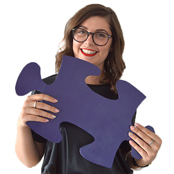 Having completed a dual Bachelor degree in Business and Creative Industries at the Queensland University of Technology, Nikola's creative and analytical skills are invaluable as Xtra continue to be leaders in the digital age of media and entertainment research. Nikola can't leave the house without wearing something green. Hannah joined the team at Xtra Insights in 2016 as a Research Assistant. Hannah holds a degree in Business Management (Marketing), and received first class honours in International Hotel and Tourism Management from The University of Queensland. Before joining Xtra, she worked as a Research Assistant and Tutor within the Business School at the university. 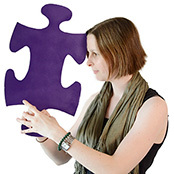 Hannah works on weekly music research projects and works closely with Bethaney on regional radio research projects. Hannah is passionate about data research and analysis, and enjoys applying her skills within the media and entertainment industry. Hannah loves anything to do with food, except for doing the dishes! 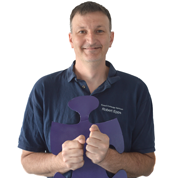 Rob has worked with Xtra Insights as technical partner since 2003. Apart from maintaining the day to day digital operations, Rob has written and developed much of the unique research software used to collect and compile our client's results. Such has been the success of his software development that it is now sold internationally and is used by a number of research companies in the USA. Rob's close working relationship with Xtra has ensured we stay at the absolute forefront in this specialist area. Rob is originally from England, and only drinks Coca-Cola. Paul & the team at Xtra really went above & beyond for us at SPH Radio. Without them Kiss 92's incredible rise to #1 against heavily entrenched, heritage opposition within 14 months from launch just wouldn't have been possible. If you want to win, get Xtra on your team. When I was seeking experts in radio research I wanted two things, a passion for accuracy and direct hands on experience. With XTRA I have found both. I know they will help find the answers I need in music or content research with the minimum of fuss. The Xtra team do an outstanding job. Speaking totally from a radio perspective, it is always a joy working with Paul and the team as they possess a thorough understanding of the needs and wants of a radio station. As AMP radio operates 9 national brands in a multitude of formats and languages, it was important that we dealt primarily with a radio expert who understood the jargon and the fundamental requirements of the business. They have been thorough and has always, year on year, aspired proactively to improve their product, moving in tandem with the times. They are also very adaptive and highly capable of handling research for any industry. They are very professional and always over deliver! Xtra Insights is a world leading media research company that constantly breaks new ground in research innovation, and has been instrumental in helping to build the foundations of radio stations 'esp' has worked with right across Australia. From insightful Perceptual Studies, Online Music Tests or Market Studies to position radio stations, Xtra has been a valuable partner in creating the platform for the success of esp clients internationally, as well as in the biggest radio markets and regional centres across the country. Reports generated from these studies are comprehensive - providing clients with the best possible information to meet their needs. The innovations lead the world in breaking new ground - whether it's the Dial technology, online studies or mobile apps, Xtra is without peer in providing solutions for clients research needs. Winning in a competitive market place requires a bullet proof strategy - Xtra Insights can help you build this. We worked with Xtra on a number of strategic projects to define our music strategy and their insight helped us grow substantially in our 25-44 core audience. We were delighted. It is nice to work with a company that becomes as passionate and committed to your success as you are! As a dedicated research company for the entertainment industry, a rare commodity, Xtra Insights has been able to provide the Astro Malaysian pay television channels with unique insights into our programming content. Their use of technology to collect the second by second responses of viewers combined with their experience in the industry has positively impacted our approach to content on our channels. In addition, Xtra has helped guide us in decisions ranging from programme placement to marketing. Xtra is a key research partner for us. They deliver actionable insights and what differentiates them is how they combine research methodologies with the latest online and mobile technologies. They are fast, flexible and great to work with. Without a doubt Xtra is the easiest company to deal with. Radio is a very instant medium, and things need to happen quickly. Xtra Insights absolutely get it, and are always available if we have any enquiries. Their technology is constantly evolving too, making it really easy and exciting for our listeners to get involved with our radio stations. Both thumbs up! We have been one of Xtra’s clients since its very early days, and that partnership continues to grow and flourish due to the outstanding, innovative and creative research they have and continue to do. Xtra have a passionate commitment to research excellence in the entertainment field which has benefitted our company in many ways. We know that our partnership with Xtra has been a large part of that success, and will continue to be into the future. There were many great things about working with Xtra Insights on our school education perception study. Perhaps the most impressive aspect of their work was their willingness to adapt the approach and to explain their rationale in the initial stages of developing our online and CATI survey. All of our feedback was welcomed and no request was too hard to accommodate. By the time we went to market with our survey we felt confident that the brief had been nailed and our findings would be robust. We were also extremely impressed with the responsiveness and level of customer attention that we received once our survey was live, ensuring that survey queries were able to be dealt with immediately. The format, content and presentation of our final report was excellent and we have been able to use the analysed data for a myriad of purposes within the school. Having a clear indication of the market perceptions of our school, other schools in our region and the educational priorities of our current and prospective parents will assist greatly in the planning of our marketing approaches for some time to come. The music and perceptual tracking tools provided by Xtra enable us to create the edge as a leading broadcaster in Malaysia. Xtra has been innovative in developing continuous improvement in keeping up with changing market dynamics in audio tracking. We switched to Airtime the end of last year and haven't looked back, we were looking for Music Research that would take us to the next level and keep us several steps ahead of the competition - and Airtime has delivered! Feedback from both our Content Teams and Communities has been extremely positive, a brilliant user experience for both - and our participation numbers are through the roof! Paul and his team have gone above and beyond right from the start, are always available to help and provide answers and solutions. We couldn't recommend Xtra Insights any higher.